WS-MRDD 3C message receive device used the newest RF power save technology. It is very small and light also can let user type what they want and send whole message out without through calling base. Through WSUSBHPA1B41 Wireless USB High Power Transceiver, you can send whole messages to another one during receivable range; it is convenience and saving much time. 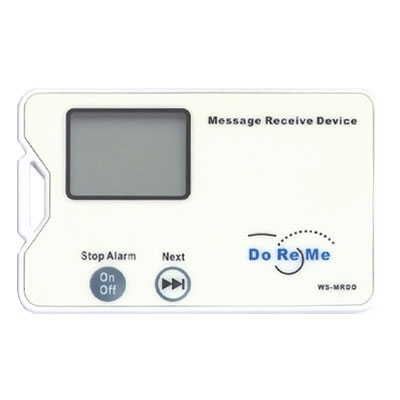 This product can show figures, English message, called status and vibration and voice call to remind user. It is widely applications, such as factory, hospital, school and etc. Battery is using LIR2025 which is very light and rechargeable, also easy to change battery. It is convenient to call for search and send message in time.